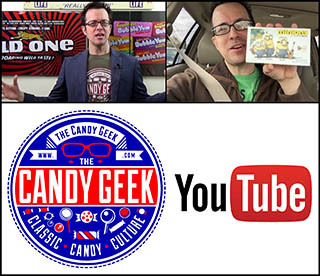 ← 400 Halloween Candy Images in Four Minutes! One of the candy brands that tends to always provide specialty seasonal releases is Topps/Bazooka’s Ring Pop. 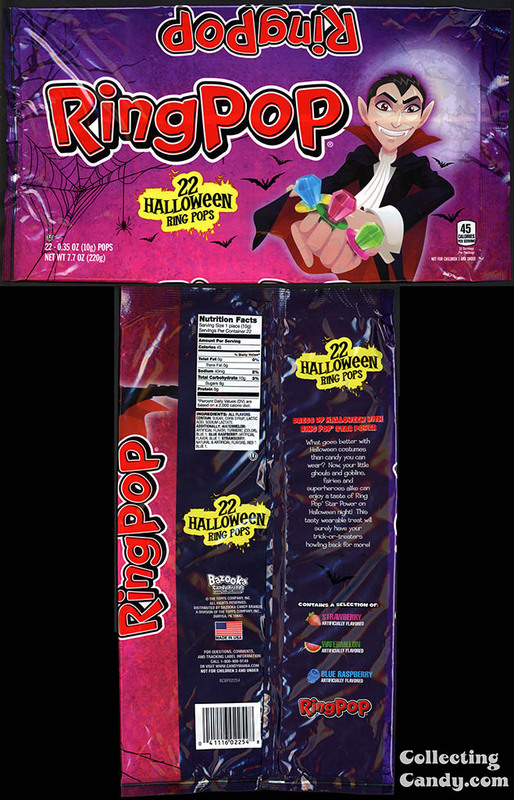 This year is no different, with the added bonus of an entirely new look for their Halloween Ring Pop big multi-bag packages. Make the jump to check it out! 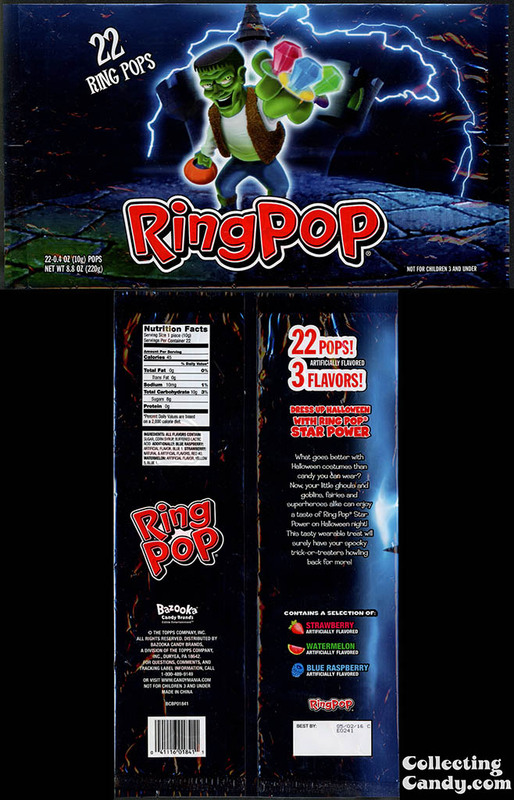 I’ve been closely following the Ring Pop brand’s seasonal releases for several years now and even covered the introduction Halloween Ring Pop Minis back in 2013. I’ve enjoyed the effort Topps has put into the packaging and being a fan of the classic monsters, its been great to have Frankenstein’s monster gracing the multi-boxes and packages the last several years. 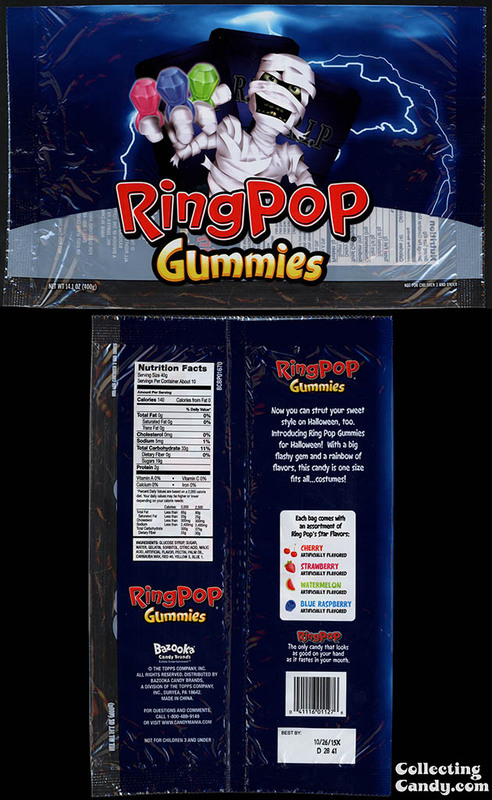 So for 2015, Halloween Ring Pops have gotten a new mascot and they’ve possibly dropped in size a tiny amount – though more than likely, they have stayed the same size and simply fixed a previous error. I wonder if that error prompted the art change as well? And as for Ring Pop Gummies? Well, I didn’t find any Halloween edition Ring Pop Gummies at retail this season so I’m not sure what that means. Maybe they didn’t prove popular enough so they are here and gone in two short years. 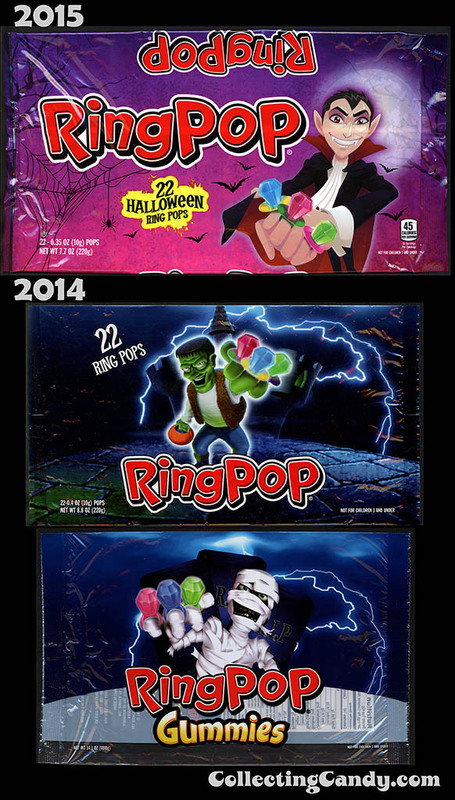 For now, that’s everything I’ve got to share on the new 2015 design for Halloween Ring Pops packaging design. Have a save and happy Halloween today, and I’ll see you next time! 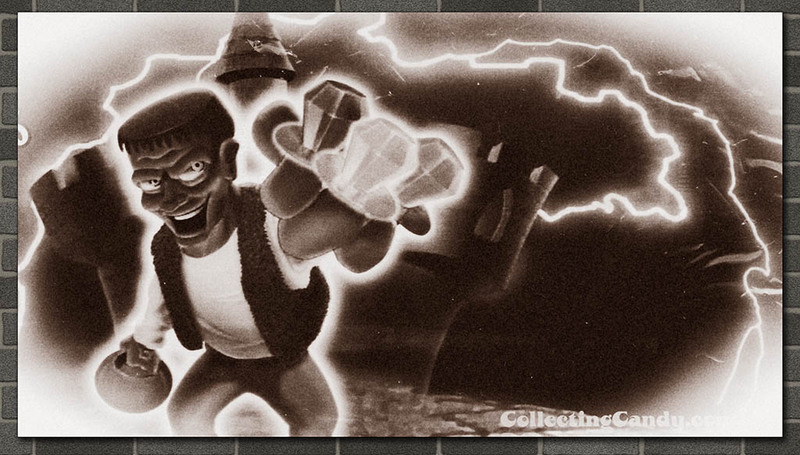 Today’s post has been part of CollectingCandy.com’s 2015 Countdown to Halloween. To check out other sites celebrating Halloween all month long, visit the official CountdownToHalloween site. For more of CollectingCandy.com’s CountdownToHalloween posts, just click here. This entry was posted in CountdownToHalloween, Gummies, Halloween, Novelty, Topps and tagged candy collecting, candy collection, candy collector, candy wrapper collection, candy wrapper collector, collectible, collecting candy, confectionery, confections, Dracula, Frankenstein, Halloween, mascot, monster, packaging, packaging design, Ring Pop, Ring Pops, sweets, vampire, vintage candy wrappers, wrapper. Bookmark the permalink.